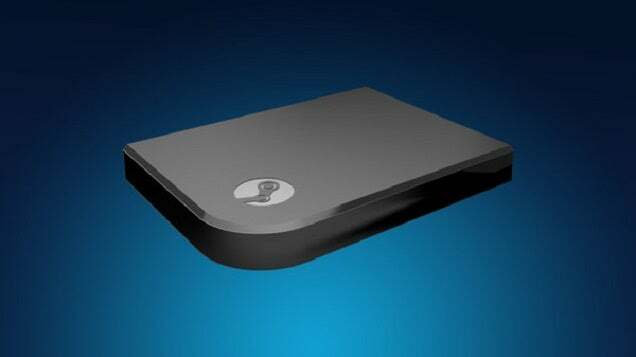 "Steam Machines will start at the same price point as game consoles, with higher performance," Valve said in a press release today. Well, OK then. The much-anticipated living room PCs, which have been MIA since Valve officially announced them in early 2014, will finally launch this November alongside a special Steam controller and a device called the Steam Link that will allow for game streaming from a PC or Steam Machine at 1080p/60HZ, according to the folks at Valve. The Steam Link and Steam Controller will each cost $50 (£33, exact UK price to be confirmed). The concept of the Steam Machine has always been a bit nebulous, but essentially, Valve is teaming up with hardware manufacturers to release a variety of different living-room gaming PCs that will be available at various price points. The lowest, it seems, will be in the $350-400 (£229-£260) range, and if you take Valve at their word, it'll be more powerful than the PS4 and Xbox One. At GDC in San Francisco this week, Valve is showing off Steam Machines from Alienware and Falcon Northwest, and they say they've got PCs from "a dozen other partners" launching in November, too. Says Valve: "Steam Machines will start at the same price point as game consoles, with higher performance. Customers interested in the best possible gaming experience can choose whichever components meet their needs." Valve also officially announced the Source 2 engine, "the successor to the Source engine used in Valve's games since the launch of Counter-Strike: Source and Half-Life," which will be free for game developers.